A late 18th century George III Period mahogany slant-front desk. 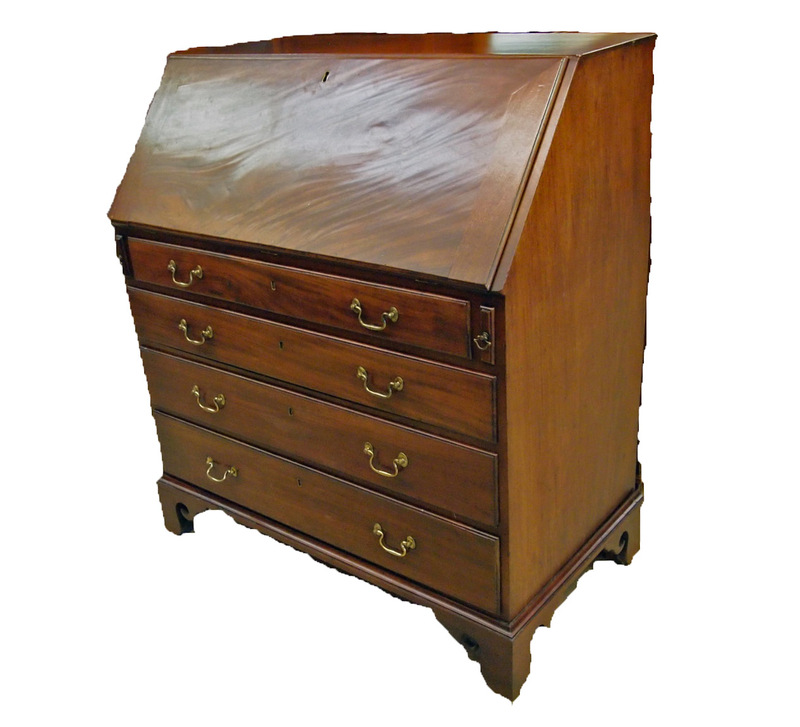 Fold-down writing surface opens to reveal a fitted interior with inlaid detail, lower section with two short drawers over three long drawers, on a base with ogee bracket feet. Older finish with minor wear. Measures 39″ wide, 22″ deep, and 44 1/2″ high. $3,200.00.